Who has not seen some people collect a cube of rubika . Literally a matter of seconds (not even minutes), and faces of a cubeand is composed by color. But from this rate, because in this case, you need not only the ability to master the principle of the gathering, but also something else. But what is it? It turns out that to increase the speed of the gathering, the cube needs to be lubricated a specific composition that gives it properties of this lightning-fast rotation of the faces, even the eye does not have time to keep track of the process. You can lubricate the cube the Rubik's cube to twist it in hands easily and without any hitches. In order for the puzzle did not disappoint, it must be greased, regardless of the cost. Thus, any cubelike a cheap, bought on the market, and expensive professional needs in a preliminary design. 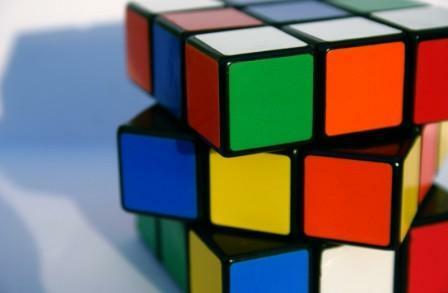 It is necessary to lubricate the cube the Rubik's cube according to the recommendations. Generally used for processing silicone grease designed for metal, plastic and other surfaces. It is silicone it does not harm the plastic, especially since its acquisition is not a problem. You can buy it in any store, specializing in automotive spare parts. Well suitable lubricant such as Hi-Gear Silicone Spray. There are different ways of smudging. Lubrication analysis. To efficiently lubricate the cube of rubika, it is advisable to disassemble it into its component parts. Unscrew the screws do not have, we can restrict the temporary removal of the angular fragments and edges. Every piece of processed silicone grease on all sides, except the front side color. The middle part of the faces of the cubeand connected in such a way that it can slightly delay and handle using a thin tube or a thick needle. After this wait time to an hour and consistently deliver the component parts of the cubeand the place. Grease indiscriminately. Faces turn relative to each other at an angle, dip q-tip in the silicone and lubricated with partially available inside. Then a thick enough needle inside the inscribed cubeand the silicone and quickly rotated faces, which gives a uniform distribution of the lubricant. Lubrication is by pulling one corner of the segment. Removable corner segment, which gives good access to all the parts of the cube. Depending on the type of packaging of silicone grease Squirting or squeezing it a small amount, then insert the piece into place and rotate the faces so that it is evenly distributed. Then for a while leave to dry silicone. With any method of lubrication you can get easy immediate rotation of the faces of the cubeand the Rubik's cube.